Trying to keep Edmonton clean is no easy task, but it is one we all at SBS relish, and have done so for the past 28 years we have been in operation. In that time, we have grown to be one of the major commercial companies that provide many numerous services. Commercial companies only need to look towards us to realize no matter what their requirements, we have the capability through our equipment, biodegradable cleaning chemicals and most importantly our highly skilled staff. You may find some commercial cleaning companies will only provide and offer a limited amount of services which could include daily cleaning, everyone at SBS has grown to know some buildings requirements go far beyond this, from cleaning the exterior, windows to offices, and bathrooms, all must be included to transform the environment to one which your building and employees so rightly deserve. To keep your building in tip top condition we only use the best chemicals that have been certified safe and environmentally friendly, yet they are capable of killing over 99% of germs and bacteria. 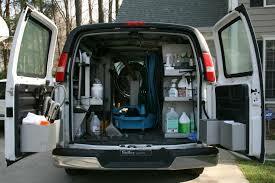 This can be one headache you have which you can now forget, we can provide the staff, who have all been trained and certified, the chemicals and the equipment, all of which would cost you time and investment if you had chosen to do it yourself. To find more about our best commercial cleaning services, or other specialized cleaning services in Edmonton, please contact our cleaning specialists NOW who can be contacted 24/7, and 365 days per year on 780 – 939 – 2799 in Edmonton and receive your FREE QUOTE.